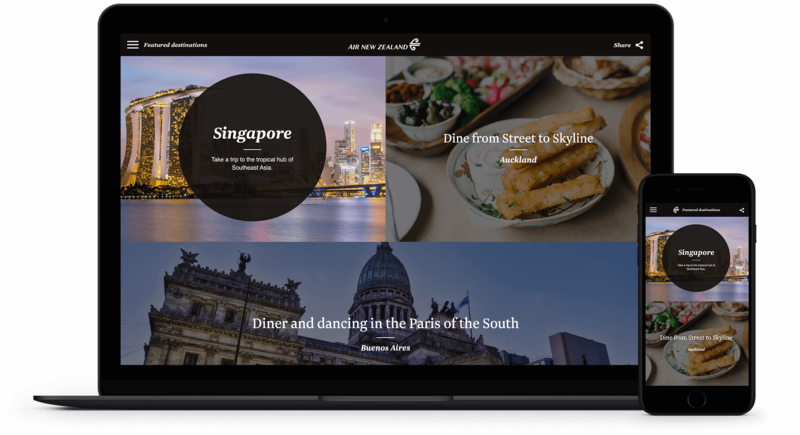 Air New Zealand flies to some of the most incredible places in the world, but they needed a content website to get travellers fired up enough to see them for themselves. Put simply, the destination section of their website made choosing where to go a lot harder than it needed to be by overloading users with unnecessary detail. 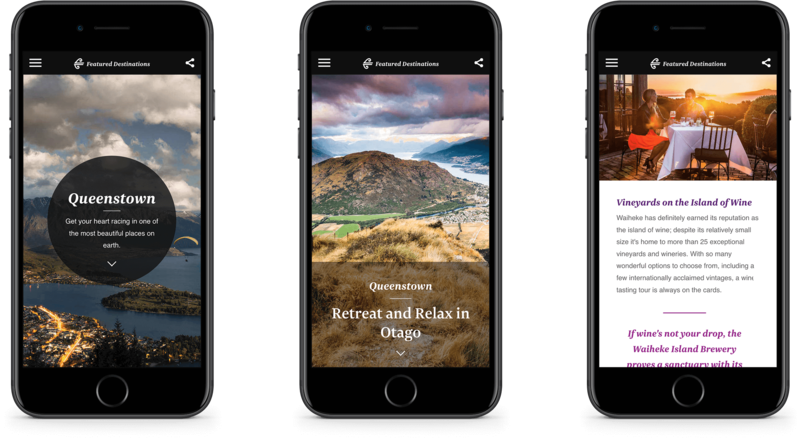 We built the Inspire website, a crafted guide of the places Air New Zealand travels to and the unique experiences they offer. 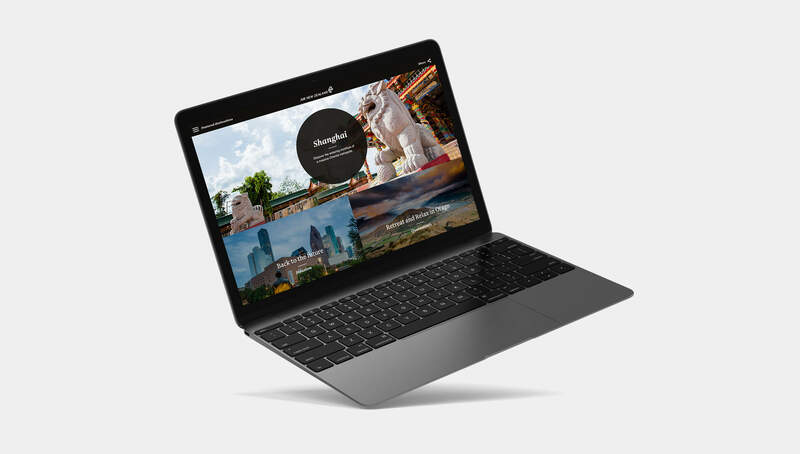 We created bespoke content website based on real travel experiences from these destinations using a mix of beautiful imagery and local insight. These articles tailored to the airline’s different types of travellers, suggesting stunning destinations and then giving them reasons to go there.